Lower than expected air temperatures and sunshine are now both increasing; rivers are generally running high. Willapa Bay unfolds its beauty from a bird’s-eye view. 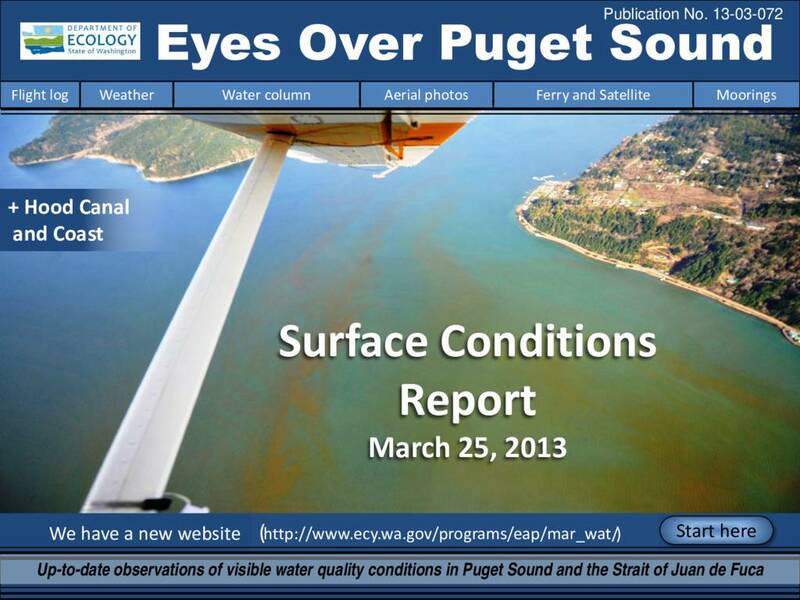 The spring phytoplankton bloom is picking up in Puget Sound. A large red-orange-brown bloom persists in southern Hood Canal at a scale sufficient for the MODIS satellite to pick up. Jellyfish are still going strong in southern inlets. Ocean climate indices (PDO, NPGO and Upwelling Index) explain much of the variability in Puget Sound temperature, salt and oxygen. Nutrients, however, are steadily increasing while sub-surface algal pigments (chlorophyll a) are declining! Description Lower than expected air temperatures and sunshine are now both increasing; rivers are generally running high. Willapa Bay unfolds its beauty from a bird’s-eye view. The spring phytoplankton bloom is picking up in Puget Sound. A large red-orange-brown bloom persists in southern Hood Canal at a scale sufficient for the MODIS satellite to pick up. Jellyfish are still going strong in southern inlets. Ocean climate indices (PDO, NPGO and Upwelling Index) explain much of the variability in Puget Sound temperature, salt and oxygen. Nutrients, however, are steadily increasing while sub-surface algal pigments (chlorophyll a) are declining!